The Florida nursing home where eight patients died in the heat after Hurricane Irma is trading blame with the Florida governor’s office over who bears responsibility for the deaths. There are contradictions between the accounts each side is giving over when the facility reported problems with its air conditioning units and unanswered questions about what steps the facility did or did not take to keep residents cool. The Rehabilitation Center at Hollywood Hills published a timeline of events leading up to the deaths of patients there. The timeline details attempts to get Florida Power and Light (FP&L) out to fix the transformer that had taken down the facility’s air conditioning. But while the Hollywood Hills facility claims to have reported problems with its air conditioning to the Florida Emergency Information Line early Monday evening, Sept. 11, the governor’s office maintains that as late as 5 p.m. on Tuesday, Sept. 12, the facility reported having partial power with cooling systems and generator operational. “They did not request anything beyond help with FPL,” reads a statement provided by the governor’s office. “At no time did the facility report that conditions had become dangerous or that the health and safety of their patients was [sic] at risk. In fact, on Monday, September 11, Department of Health staff advised this facility to call 911 if they had any reason to believe that their patients were not safe,” it continues. 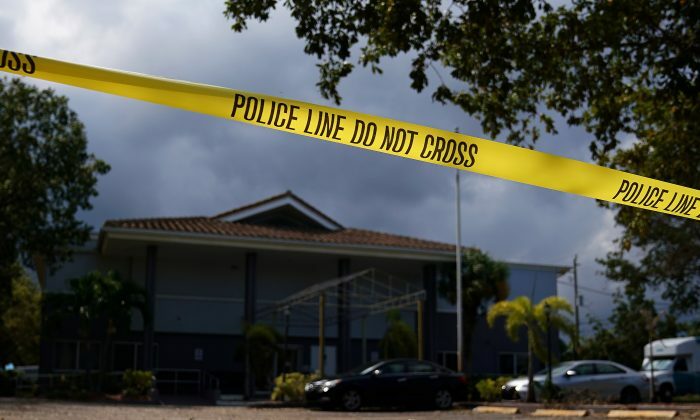 The governor’s office said all calls from the facility were referred to the Agency for Health Care Administration (AHCA) and the Florida Department of Health (DoH) and quickly returned. The facility timeline records several phone calls back and forth with AHCA and DoH. It also claims that FPL repeatedly made and broke promises to come to the facility and fix the transformer that had left it without air conditioning. While FPL has yet to return a call for comment, the utility company told CBS that the facility had partial power and other options to deal with the outage. “What we know now is that a portion of the facility did, in fact, have power, that there was a hospital with power across the parking lot from this facility and that the nursing home was required to have a permanently installed, operational generator,” said FPL’s Peter Robbins in a statement. Hollywood Hills has not returned requests from The Epoch Times to explain why the required backup generator was not able to power the air conditioners nor why residents were not moved to the first floor of the nursing home, where it was cooler. The Epoch Times also provided Hollywood Hills with the timeline provided by the governor’s office for response. The facility is now under a criminal investigation that comes after it was put under a moratorium on Sept. 13 following the evacuation of patients earlier that day after several patients died. On Sept. 14, the AHCA terminated the facility as a Medicaid provider. “This facility was responsible to provide their patients a safe environment and they failed to do so,” read an AHCA statement. The ACHA has echoed the governor’s office in saying that at no point did the facility communicate any imminent threats to its patients’ lives or safety. The facility is currently under a criminal investigation that police tell reporters may focus on the generator the facility had installed. Hollywood Hills has run afoul of the AHCA’s requirements for its temporary generator multiple times in recent years. The facility’s timeline reveals it did not call 911 until the first patient had tachycardia at 1:30 a.m. on Wednesday, Sept.13.